This is our reference NY-17089. 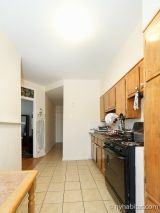 This is a three bedroom furnished apartment in the communal New York neighborhood of Flatbush, Brooklyn. On East 26th Street and Clarendon Road, the apartment is set on the second floor of a two story townhouse. 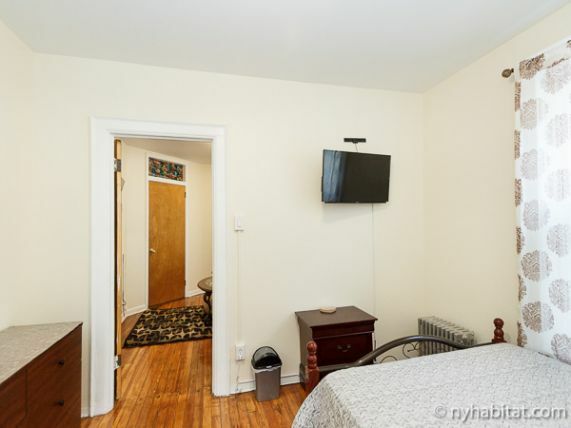 This apartment is set up in a traditional railroad style which means that Bedroom 1 can only be accessed through Bedroom 2, so the two rooms to rent will be rented as one unit. 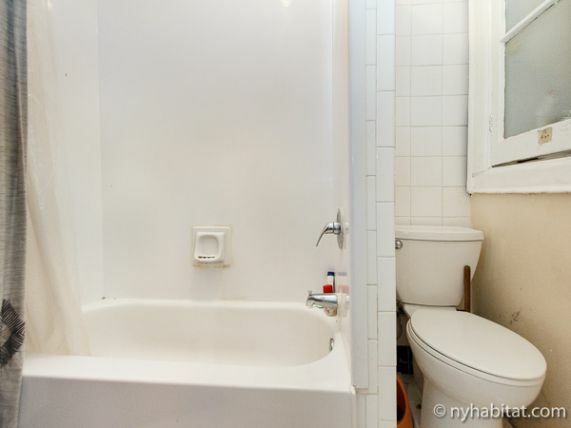 Please note that these are each a private room for rent in a larger apartment meaning that the kitchen and bathroom will be shared with a roommate. The three bedroom apartment share is fully furnished with a traditional style full of amenities such as ironing board and monthly cleaning service. 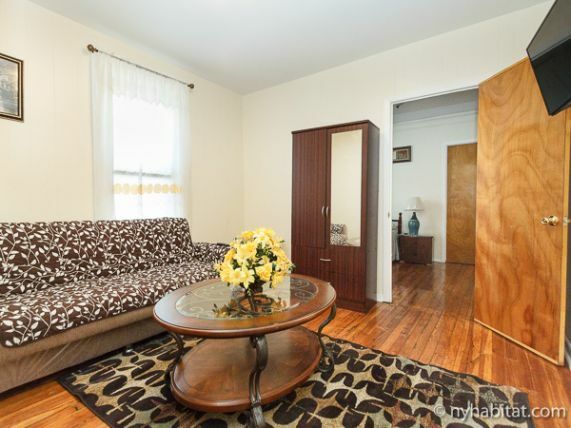 The apartment is modeled with hardwood floors and ample windows for sunlight to come through. 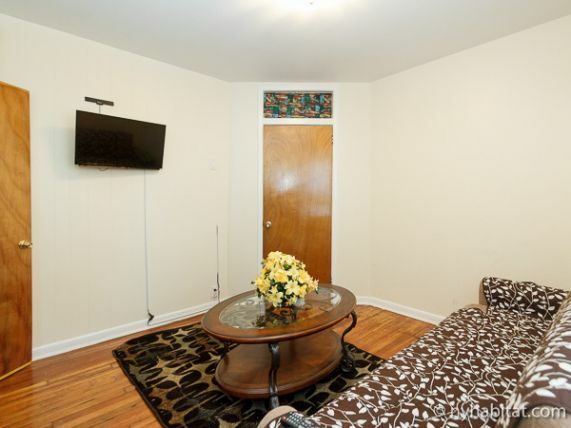 There is no living room in the apartment, but Bedroom 1 and Bedroom 2 are both furnished with a couch for relaxation. The galley kitchen has a window and an extending wall of cabinets which provide considerable storage. 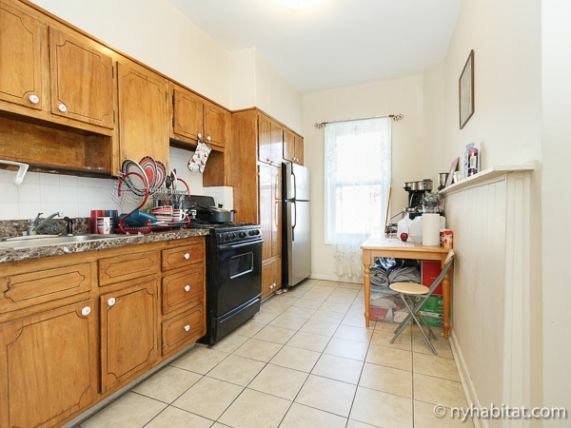 This apartment is in an excellent location to experience the best of Brooklyn and allows direct access to other parts of NYC on the 2/5 line from Newkirk Avenue / Nostrand Avenue (0.3mi/550m). 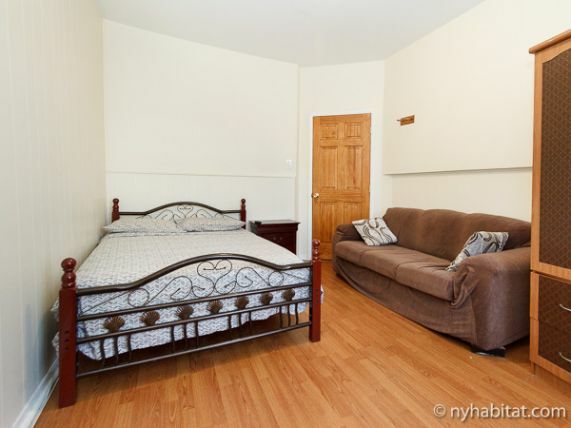 bedroom 1 at $850/month: Electric, gas, heat, internet and cleaning included. A/C not included. 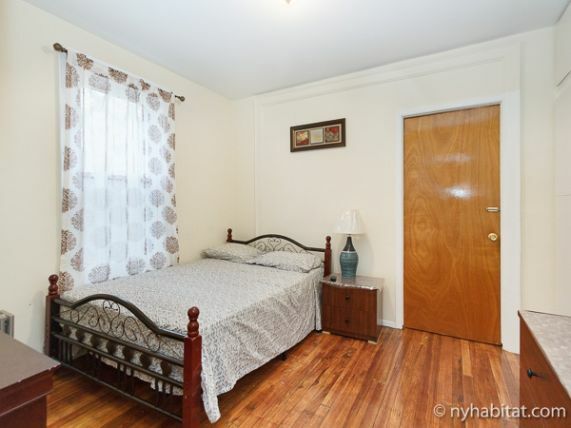 bedroom 3 at $650/month: Electric, gas, heat, internet and cleaning included. A/C not included. 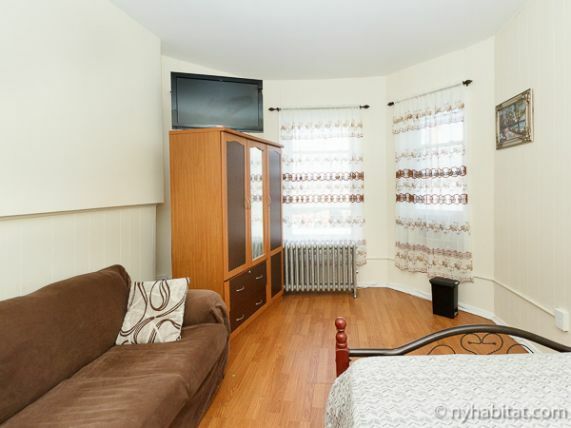 bedroom 2 + 3 at $1200/month - Electric, gas, heat, internet and cleaning included. A/C not included.